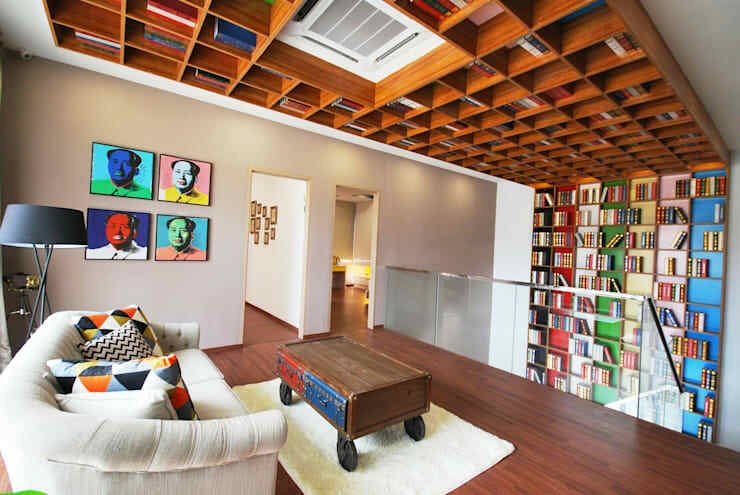 Puchong-based interior design firm HATCH INTERIOR STUDIO is at the helm of today’s project: an interior space that successfully manages to balance sleek elegance with colourful charm without going too eclectic. Specialising in design and the build of commercial, residential and industrial properties, these professionals’ concept of creating design is through thorough collaboration with their clients. With a day-to-day mission to design every project with absolute commitment to detail, they make it clear, at the start of every project, that ample thought goes into not only producing top-quality results, but also abiding by the required timeline. 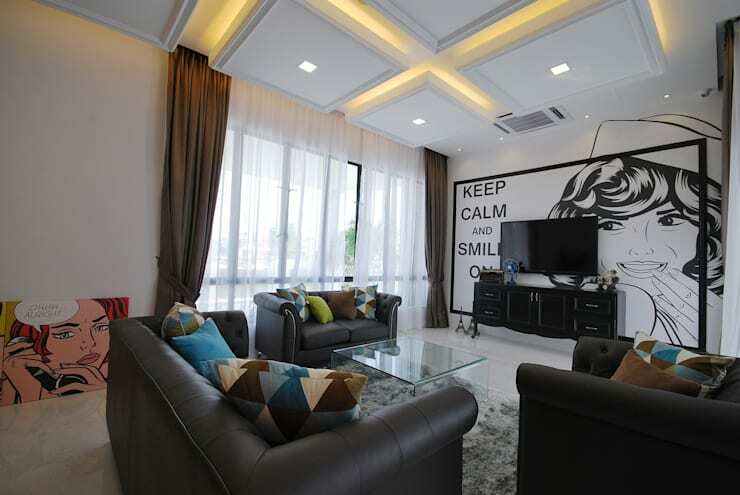 Let’s be inspired by this unique project of theirs in Ipoh South. 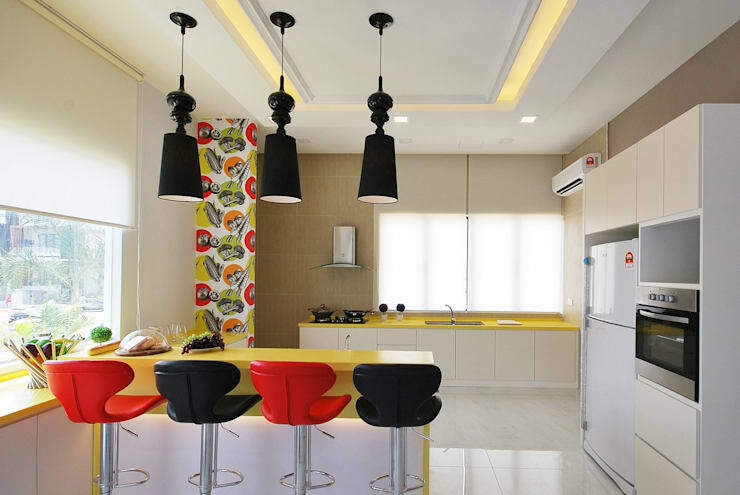 When working with bright colours and striking patterns, a careful balance needs to be achieved. 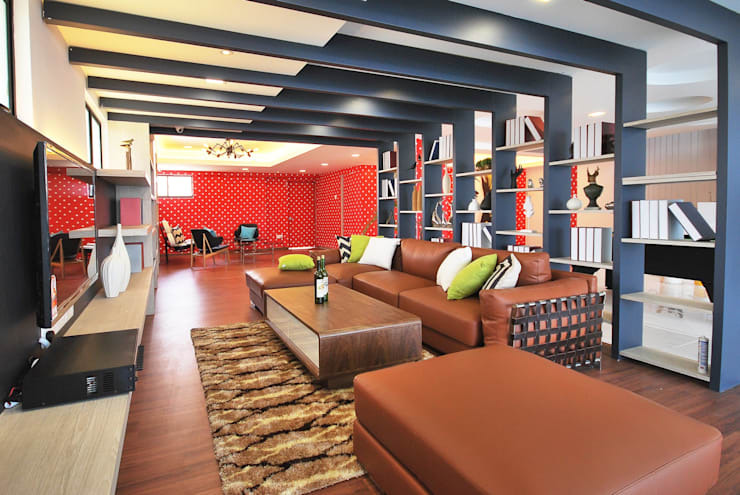 However, the final results with this informal lounge are clearly successful judging by the welcoming ambience, complementing hues, and just the right amount of motifs that introduce character and detail. 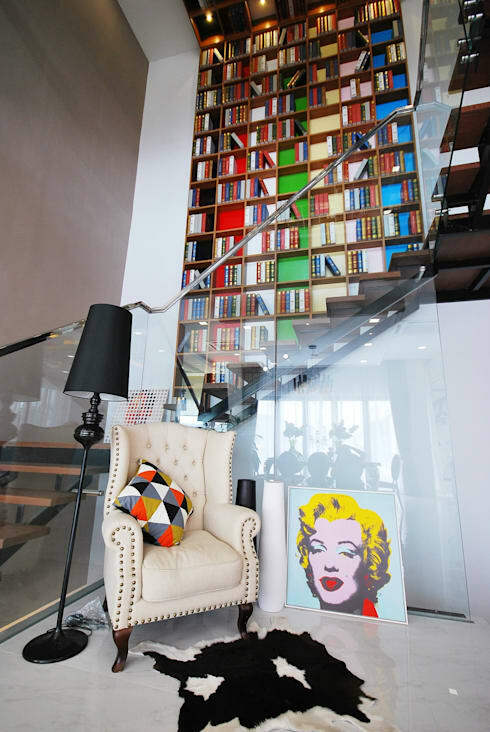 The playful colour palette continues as we move upstairs to the next storey, with a double-volume bookcase becoming the main focal piece via its charming reds, greens and blues. The design changes dramatically in the dining room as a strong batch of classic elegance is introduced from floor to ceiling. 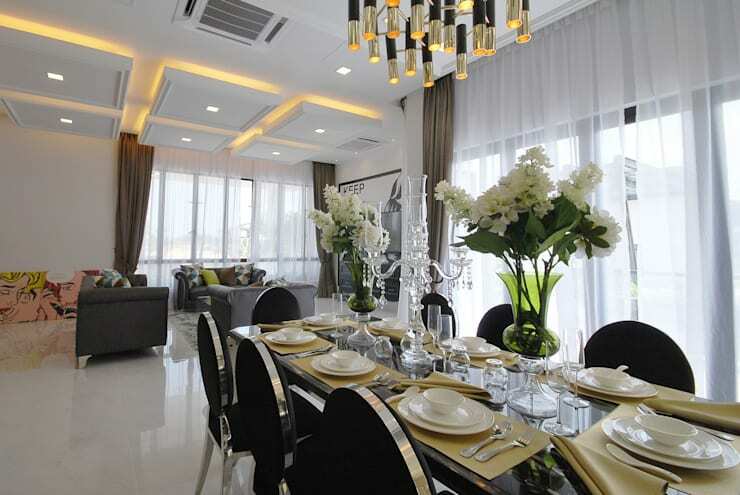 Notice how the colour palette also takes on a softer, brighter approach via its sleek whites and dazzling surfaces. Our favourite piece here? 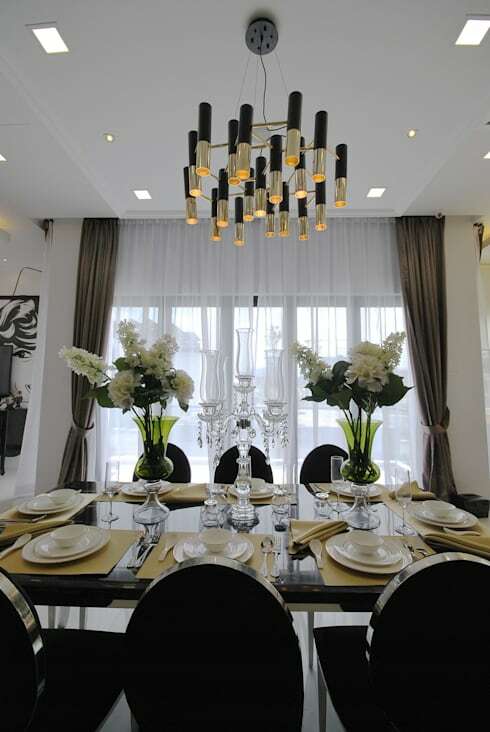 Undoubtedly that eye-catching chandelier dangling above the dining table. A hop and a skip away from the classic dining area we locate the open-plan kitchen. And although the main colour palette is the same soft, neutral one we discovered in the dining room, this culinary corner ensures a touch of warm tones and friendly detail via the bar stools and wallpaper design. Let’s gather some more inspiration with more visuals that speak of this exceptional project.